This past Saturday I had a stand at the salon de Livres Jeunesse at a village near us. An amazing number of people turned up, people bought armsful of books, and the whole atmosphere was one of amazing interest. 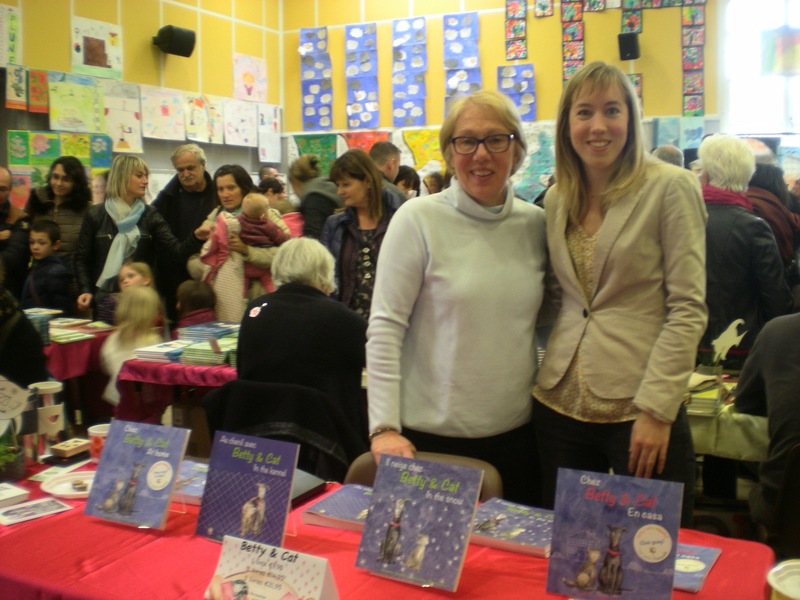 The people who saw my bilingual books (there were only two of us flogging bilingual books!) more often than not approached with a certain diffidence. Teachers and librarians were more open, as were the kids themselves. I had two girls – 11 year-olds – read me a sample page, each taking a part. The one reading the English part was amazed at how well she understood the text, even though she didn’t know every word on the page (probably not even half!). What a kick for me – and for her. Nice to know you’re on the right track. The interview below is interesting. A researcher explains how kids are perfectly capable of learning two languages at once, from day one. Have a listen.